Championship side Charlton Athletic are reportedly keen on speaking with ex-Chelsea Medic after her legal case with the Blues is resolved. Eva Carneiro came under fire from Chelsea boss Jose Mourinho following the opening game of the premier league campaign against Swansea City, when she ran on to the pitch to treat Eden Hazard, temporarily reducing the squad to nine men. Chelsea had to settle for a 2-2 draw in that game. She didn’t appear in the dugout in subsequent appearances, and has since left the club. Caniero has reportedly taken legal action for her dismissal following the incident it has also come to light that Mourinho will be the subject of separate legal action. She officially quit the reigning premier league champions in September and has rejected the offers Chelsea have made on a severance package, which is why she is looking to take the case to an employment tribunal. 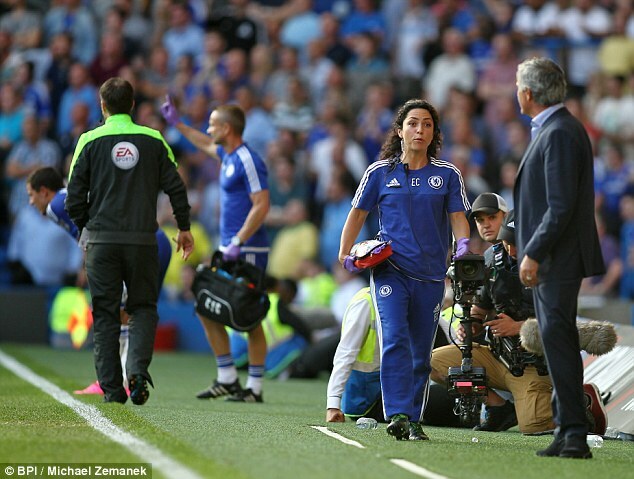 Mourinho was cleared by the FA of using discriminatory language towards Carneiro, but she was critical of the governing body of the investigation. “I was surprised to learn that the FA was allegedly investigating the incident of 8 August via the press. I was at no stage requested by the FA to make a statement,” she said in a statement. Caniero has received backing from many Chelsea fans and female sports women alike as she has been dubbed as an inspiration to women looking to go into football. Charlton are currently in a crisis of their own as they sit below the Championship table and are currently operating under a caretaker Manager.